To sign up for your parchment account so you can have your transcripts sent to colleges and the NCAA follow these steps. Log on to parchment.com, click on create account. Fill out information and click sign up. After you click sign up it will ask you if you want colleges and scholarship provides to send you information and you can click yes or no. Click on the + and add Andover High School. Make sure and select Andover Kansas. Fill out school information. Click on I waive my rights… and click on consent and request. 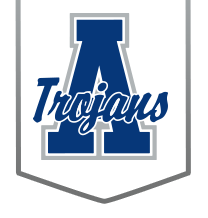 When you log into your account you click on order under Your credentials from Andover High School to request a transcript sent to the college of your choice. Fill in the information in the search box and add the college you wish to have your transcript sent to. Sign and type your name, make sure to click the box that says this is really you. You do not need to click on the profile, it will ask for information you do not need in order to have transcripts sent. If you request a self- view you will see your transcript but it is not be an official transcript. Reminder: and "unofficial self view" is exactly what it says, "unofficial." It cannot be sent to colleges or other institutions. You must request an official transcript to be sent.